"Did I miss the whole "Employee Advocacy" thing? It seems to have just...appeared". Last week I had 3 separate conversations about the sudden emergence of employee advocacy and how this new phenomenon is starting to blast its way onto the scene in 2016. With it comes questions and often confusion. What employee advocacy tools are available? How are they different? When is the right time to buy a tool? Do I really need a tool? Does it serve my specific requirements? 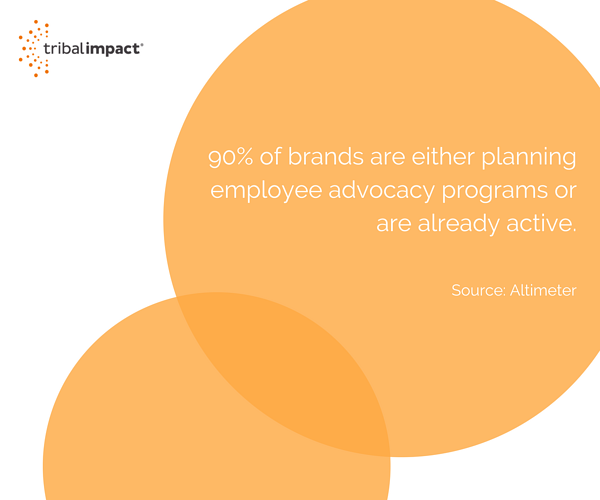 Recent research from Altimeter, a Prophet company has shown that 90% of brands are either planning employee advocacy programs or are already active so chances are you have already experienced employee advocacy but just didn't realise it. If you’ve heard the concept of social selling you are already experiencing employee advocacy...just the sales focused version of it. I’ve always believed and championed that every employee has the potential to influence a sale no matter where they sit in the organisation. The receptionist that greets your customer, the marketing executive that manages your customers event registration, the telephone operator who will direct your customers call - everyone influences the customer experience and has the ability to connect people. A true social business will recognize the customer experience value that comes with enabling the entire workforce to build their professional brands online, provide content guidance and support them in creating content if they wish to do so. 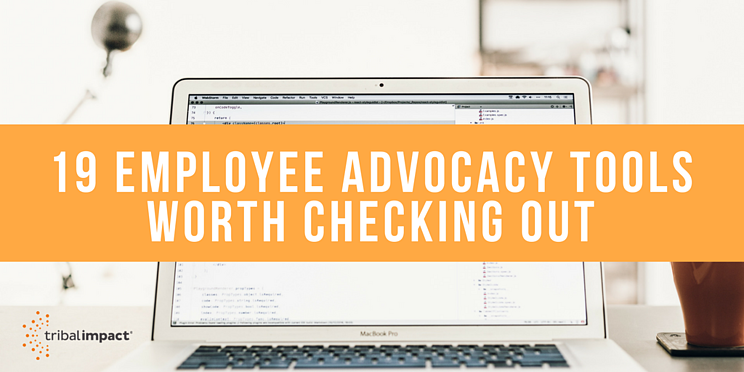 Most of the folks out there leading the Employee Advocacy message are the companies that offer the tools to help the whole process run smoother. They do this by making it easy for employees to share pre-approved content to their social networks. This is great for the employer because they get to maintain some control through a centrally administered content distribution system as well as all the analytics behind it. Great for employee because they can step into content sharing without any fear of sharing something that is potentially damaging for them or their employer. But remember that starting the tool is just part of the solution - not the only solution! This is my first post in a mini-series about employee advocacy tools and I'm starting with the basics and answering the first question at the start - what tools are available? In this post I'll list the tools that are out there to help you understand the options available. The second post will explore the features I love about some of these tools. The final post will suggest some questions you should ask before buying. Go check them out. Most will offer a demo. For in-depth analysis on these tools (and more) it's worth checking out this post (Buyer Guide: Social Employee Advocacy Software) from Chris Boudreaux as he explores different insights that may impact the purchasing decision. All have their merits - some are new to the market, others have been established for many years. Some are more suitable to enterprise budgets and others more to SME budgets. To my knowledge all operate in the cloud and/or via mobile apps so no hefty investments or programming skills needed. Intuitive design and cloud technology make these purchases scalable, flexible and relatively quick and easy to implement. The choice of tool will depend on your requirements, the stage you're at and of course the budget you have available. If you're in the middle of a project or looking to start an employee advocacy project in 2016, let me know how you're getting on and if there's a topic you'd like me to cover then feel free to suggest it in the comments below.